In his book “Unconventional Success: A Fundamental Approach to Personal Investing,” David Swensen prescribes for retail investors an asset allocation markedly different from his management of Yale Endowment. Domestic Equity (30 percent) – Stocks in U.S.-based companies listed on U.S. exchanges. Emerging Market Equity (5 percent) – Stocks from emerging markets across the globe. Brazil, Russia, India, China, etc. Foreign Developed Equity (15 percent) – Stocks listed on major foreign markets in developed countries, such as the UK, Germany, France, and Japan. REITs or Real Estate Investment Trusts (20 percent) – Stocks of companies that invest directly in real estate through ownership of property. U.S. Treasury Notes and Bonds (15 percent) – These are fixed-interest U.S. government debt securities that mature in more than one year. Notes and bonds pay interest semi-annually. The income is only taxed at the federal level. TIPs or U.S. Treasury Inflation-Protection Securities (15 percent) – These are special types of Treasury notes that offer protection from inflation, as measured by the Consumer Price Index. They pay interest every six months and the principal when the security matures. Is stock market volatility justified by subsequent changes in dividends? The value of a stock is its dividend stream. (Also see Dividends to rescue in a “Great Depression”.) So far in this bear market, the S&P 500 has tumbled close to 50%. Does that mean dividends will fall by 50% … permanently?! Stock prices move too much to be justified by subsequent changes in dividends. This is the complete list of US dividend oriented ETFs. 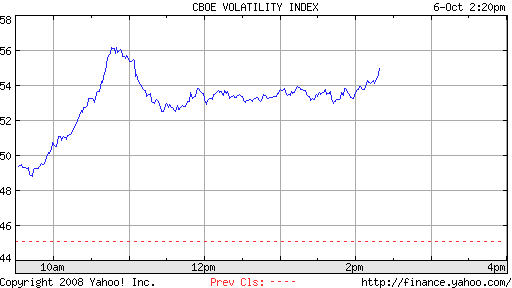 * Yield information is according to Yahoo Finance as on 9/30/08. The high-dividend-yield ETFs could come to the rescue of your retirement if we have a prolonged recession. Need help with investment? Call 301-452-4220. Yale Endowment, as an institution investor, has to disclose to SEC its public equity holdings every quarter. This allows us to get a glimpse of David Swensen’s direct stock investments. Since Yale Endowment does not have to disclose its private equity investments and its allocations to money managers, this is not the complete picture of its asset allocation. XTXI 1.39% Crosstex Energy Inc.
DEI 29.47% Douglous Emmett Inc.
That was what President Bush said during the recent $700 billion bailout plan meeting with congressional leaders at the White House. The market has gone down another 20% and talk of another Great Depression has filled the airwaves ever since. If you are a listener of Jim Cramer, you would have heard his advice: Sell, sell, sell! He constantly reminds his listeners how the Dow went down 83% during the Great Depression; and never fully recovered until 1954. Cramer forgot to account for dividends. If dividends from the Dow stocks were reinvested, then investors would have been able to recoup all losses by 1945. That’s a full nine years sooner! Think about this: what if investors held only high-dividend stocks? Would they have recovered their investments even sooner? Portfolio A: stocks with zero dividends. Portfolio B: stocks with bottom 30% dividend yields. Portfolio C: stocks with middle 40% dividend yields. Portfolio D: stocks with top 30% dividend yields. It is probably not surprising that the highest dividend-yielding portfolio D fell a little less than other portfolios. It’s striking that portfolio D recouped all losses in just three-and-a-half years – eight to nine years before other portfolios. Why did high dividend-yield stocks performed so well? During the Great Depression, stock prices on average fell more than 80%. Dividends fell only about 11%. 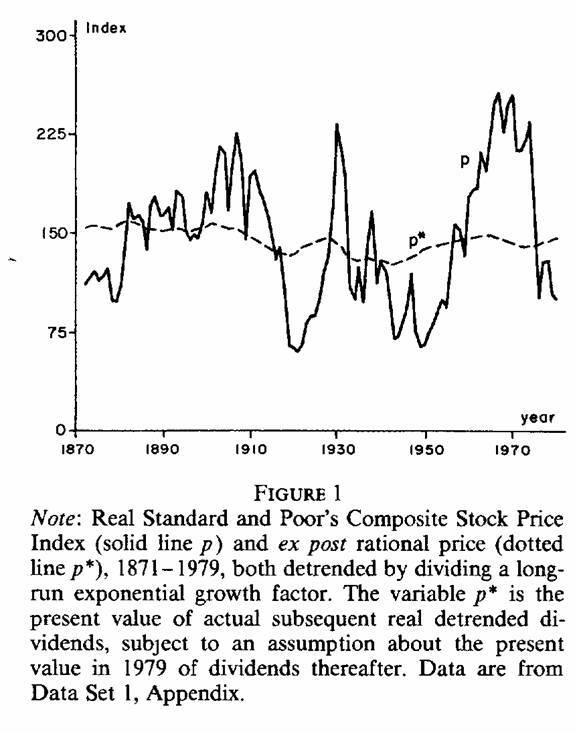 (See Chart below) As Yale University professor Robert Shiller has found, historically dividend volatility was about 15% of price volatility (meaning dividend declines were a fraction of price declines in recessions.) Stable dividend payments quickly made up for losses in price. If the price gyration makes you dizzy, focus on dividends instead. They don’t gyrate and ultimately, they will sustain your retirement. Since President Bush declared that if the Congress does not give Secretary Paulson the $700 billion blank check, “the sucker could go down!” the talks of another Great Depression have filled the air waves. So how much today resembles the Great Depression that lasted from 1929 to 1933? It doesn’t take a lot to bring together data from various government sources to present a comparison in the table below. Granted, the situation today could get a lot worse before getting better, it simply does not resemble the Great Depression. However, the stock market already have priced in half the chance of that. Did President Bush and Secretary Paulson scare us so much, we not only handed over the $700 billion blank check, but we pee our pants as well? Fear (VIX) at all-time high! Today, the VIX index reached all-time high of 56 and closed at 52. To give a measure of how fearful investors are, in 9/11/01 during the terrorist attach the index only reached a lowly 39.